Returning to Panama for 2019. Join Dan Hines and Marcia Wilson for this themed yoga and Courage & Renewal experience in beautiful Panama from February 24 – March 2, 2019. The theme guiding this exploration is Wayfinding. Wayfinding is the traditional art of navigating the open ocean. Sansara offers a beachfront location and graceful thatched roof studio facing the Pacific Ocean: waters where ancient navigation practices are being rediscovered among the Pacific Islands. Through practices that will include yoga, journal writing, mindfulness, and large and small group work, we will be attentive to our bodies, listen to our hearts and minds, and invite our personal narratives to speak to us. The stories and images of wayfinding will guide us as we navigate the complex environment of human life. Explore with Marcia and Dan, experienced teachers and facilitators, who are excited to weave together their distinctive learning from their lineages and traditions. *Please contact us if you would prefer a single occupancy room as this may be possible. As we are within 30 days of the retreat start date, the full and final balance of the package is due to reserve your space. Please contact US for more information OR sign up directly here. Mentored by activist and writer Parker J. Palmer, Dan serves as a Courage & Renewal facilitator and leadership consultant for individuals and for business, educational, and religious organizations. Dan facilitates workshops in various communities throughout North America including 2017 workshops at Les Monasteres Des Augustines in Quebec, Hollyhock on Cortes Island, BC, and Omega Institute in New York as well as other venues. Much of his professional experience has been as a priest and ministry coach (Anglican Church of Canada). For about a decade of life, he managed a wildlife park! As co-founder of the intentional community, RareBirds Housing Co-operative, he has a passion for exploring alternative living and a more sustainable relationship to the land. He is involved in local social justice, environmental activism and grassroots political work in British Columbia. In 2017 Dan will be facilitating experiences at personal development centers such as Hollyhock, Le Monastere des Augustines and the Omega Institute. He is an avid yoga practitioner. Marcia has a passionate belief in living a life that connects and inspires. This philosophy has fuelled her life both on and off the yoga mat. 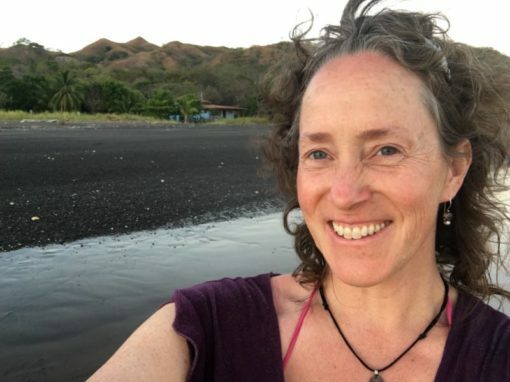 A mom, a lifelong learner and a deeply passionate and open being, her life explorations have included studies in occupational therapy and biochemistry, long self propelled journeys by bike and foot in mountains and on remote roads, and testing her edge in triathlons of all distances including Ironman. Her yoga journey has included exploration of Anusara, Ashtanga, and Bikram yoga. Her current journey? Exploring the edges of vibrant health and energy through practices of yoga, ayurveda and healthy living. She owns and operates a yoga studio in Kamloops, BC – a reflection of her belief that we need to look creatively at how we can best care for ourselves and the world around us. Marcia trained primarily in the US and has over 1000 hours of study with Martin and Jordan Kirk, Noah Maze, Marc Holzman, Paul Muller Ortega, Todd Inouye, Cate Stillman, Stephen Thomas and John Friend. Her background in health and rehabilitation and her own health challenges of scoliosis and asthma have inspired her to explore all aspects of yoga, including gentler practices such as restorative yoga and subtle practices of breathwork and meditation. Marcia has been teaching children and adults since 2009.